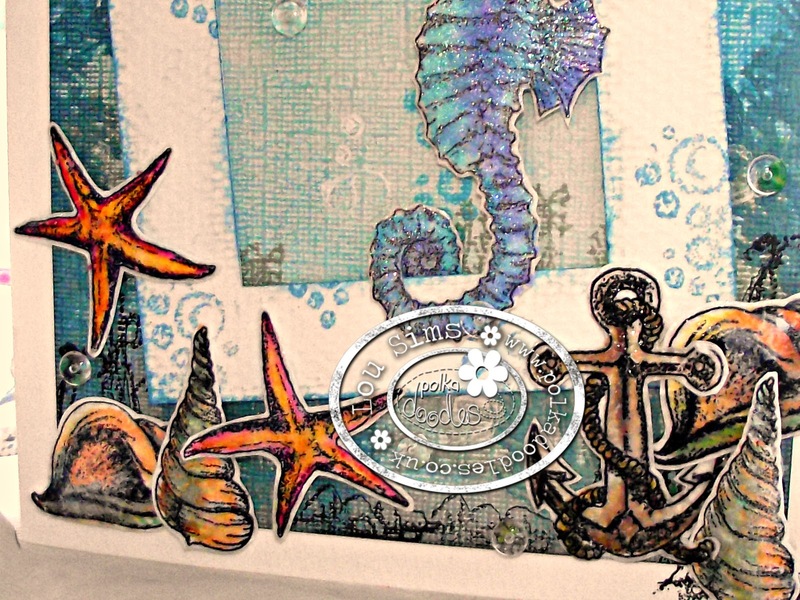 Oh my, oh my and oh my ... Nikky Hall from Polka Doodles has released the most wonderful set of sea themed stamps and the range is called "Oceana" and I decided to have a play with the "Tropical Oceans" and the "Tropical Underworld" using my pan pastels to add colour. 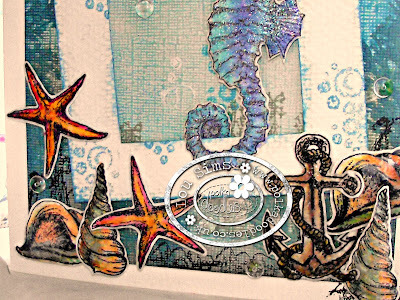 The background was made using pan pastels and then the seaweed images were stamped with perfect medium and then coloured with different pan pastels. The white bubbles were created with white acrylic paint. All the images were stamped and then coloured with pan pastels using a soft brush. 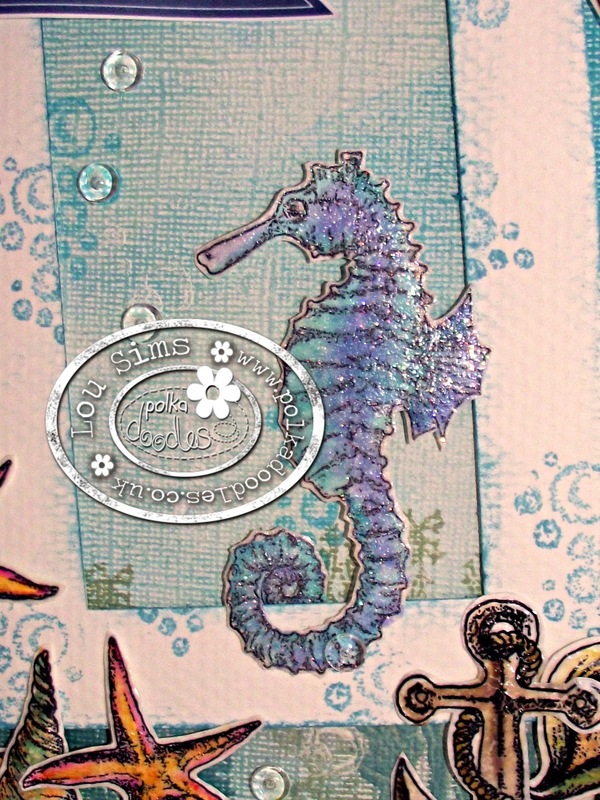 Once they were cut out, I then covered them in perfect medium and clear embossing powder. The sea horse however, was coevred in Shimmering Pearl embossing powder from Tonic Studios. I created a simple frame and then layered up my images. 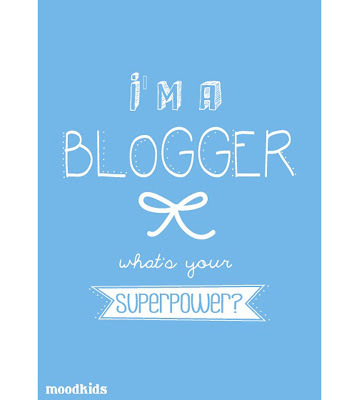 This is fabulous Lou, love the gorgeous background and design. The stamped images are fabulous! Enjoy your week. wow... it looks fantastic... a dream! thanks for joining us at dream factory. 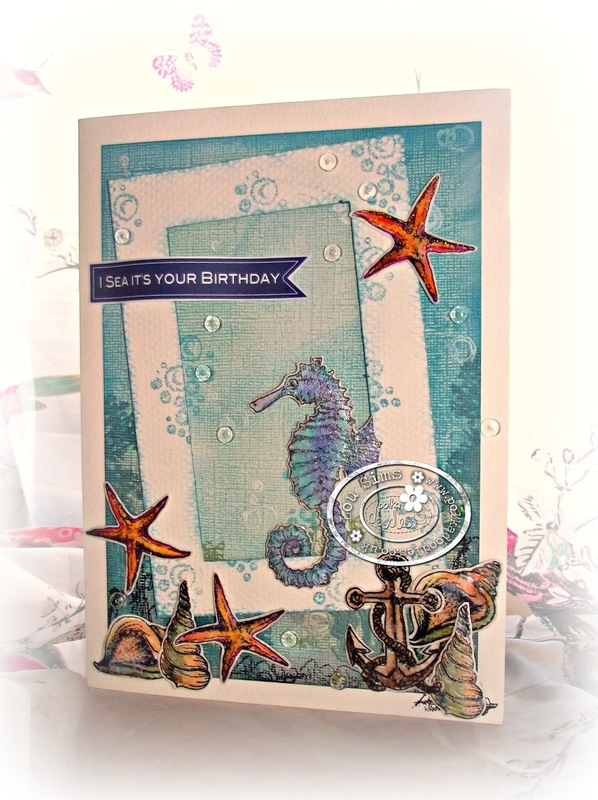 Thank you for so much for sharing your beautiful seahorse card in the OSAAT "Anything Goes with Elements of Nature" Challenge! Lovely card! Thank you for joining our Great Impressions Challenge this month, and I hope you to see you next month.